The Duxbury Ring was inspired by the architectural style of her New England upbringing. 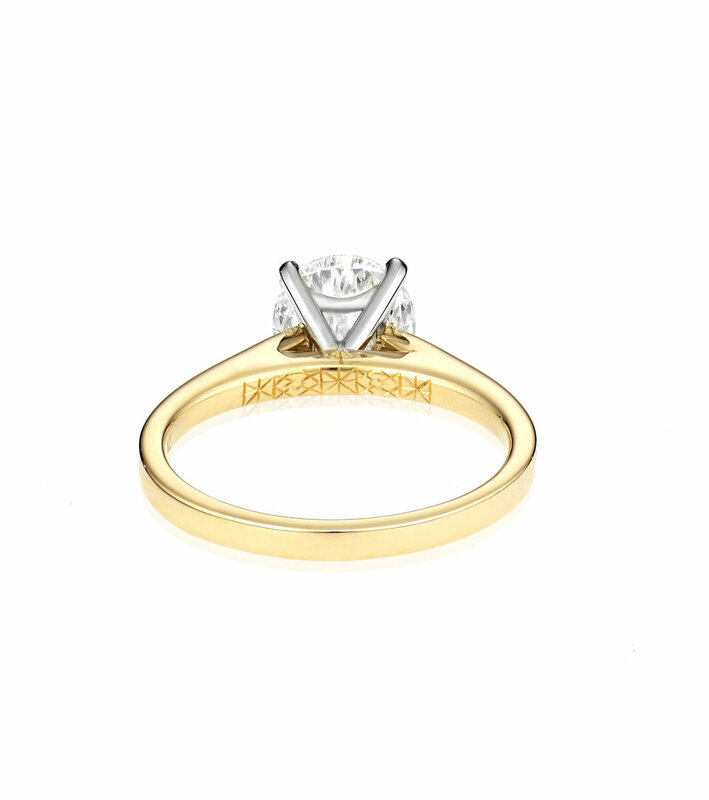 The prongs are hand-sculpted to evoke the roof of her family home, and the design inside secretly tells the story of the moment he knew she was the one for him. The Duxbury Ring features a round brilliant cut diamond set in platinum and yellow gold.